A conference on promoting investment between the Mekong Delta province of Dong Thap and the Australian Business Group in Vietnam took place in Ho Chi Minh City on September 27. 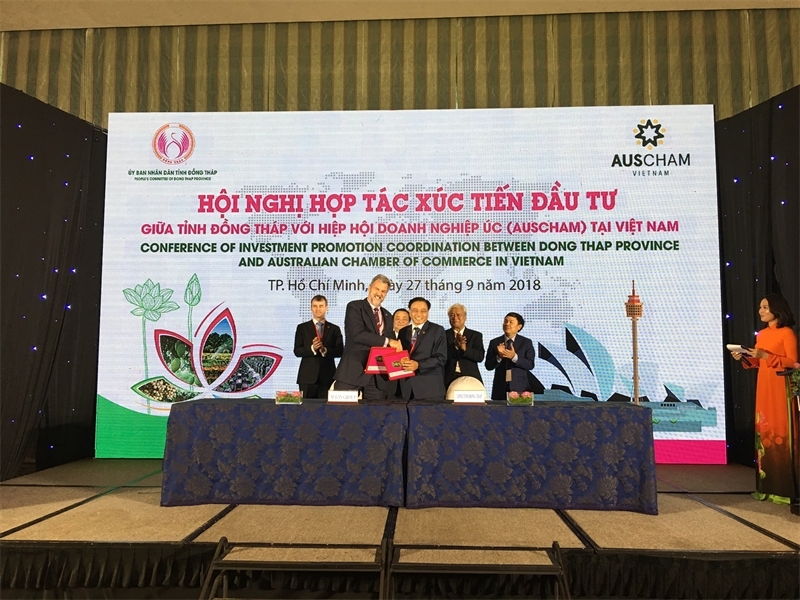 The event aimed to call for investment in developing value chains of agriculture, aquatic processing, tourism, and energy in Dong Thap as well as the neighbouring localities of Long An, Tien Giang, Ben Tre, Can Tho, and An Giang. 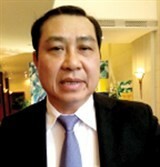 Speaking at the event, Chairman of the provincial People’s Committee Nguyen Van Duong said that the Mekong Delta is a trade gateway between Vietnam and ASEAN and Mekong Sub-regional countries. As one of the few national economic hubs that also has a natural green landscape, the region supplies up to 90 percent of rice for export, 70 percent of fruit output, and just short of 60 percent of aquatic products for export. However, its potential for farm produce processing and tourism is yet to be fully tapped. Hailing Australia for its modern agriculture and food processing, Duong said that regional localities call on Australian businesses to come to work together towards products of high added-value, contributing to the modernisation of agriculture in the region. Chairman of the Australian Chamber of Commerce in Vietnam Matthew Lourey held that joint work between Australian firms and Mekong Delta localities will improve the value of key local products and open up more business opportunities. Chairman of the Board of Directors for Mavin Group David John Whitehead, lauded Dong Thap as one of the top localities in the nation boasting high competitiveness, adding that this was one of the key factors in their decision to build an animal feed plant worth 675 billion VND (US$30.2 billion) there and expand investment in other projects. He pointed out that infrastructure and logistics services in the region remain poor. As a major farm produce and aquatic products manufacturer and exporter, the region still lacks a deepwater port. Meanwhile many bridges are weak and in need of upgrade, making it hard for goods transportation. At the event, the provincial People’s Committee signed a memorandum of understanding (MoU) with Mavin Group on building a food processing plant up to European standards, and another MoU with Sun Rice Group on developing rice value chain via linkages with local material zones. The two projects are already worth nearly 1 trillion VND (US$43.4 million). Representatives from the Australian Business Group in Vietnam also signed several memoranda of understanding on promoting investment with Long An, Ben Tre, Dong Thap, and Tien Giang.